Thanksgiving is sometimes a bit of a forgotten holiday. It lacks the silly costumes and bags of candy of Halloween, and brings none of the hype of Christmas or the beautiful lights and gifts of Hanukkah. But it’s an excellent day to focus on not just turkey and cranberry sauce, but gratitude as well. You can begin to foster a sense of gratitude in your children this month as Thanksgiving approaches. Make a Gratitude Jar. This simple idea can have a profound impact on kids, who don’t always remember that they have so much to be grateful for. Grab a mason jar, and ask your kids to decorate it any way they like. 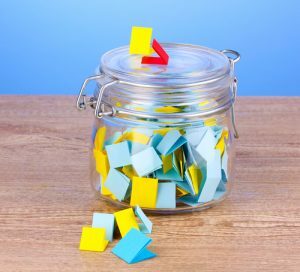 Then, cut up individual strips of paper, and, every day from today until Thanksgiving Day, ask your children to tell you something that they are grateful for on that particular day. Write down their expressions of gratitude on strips of paper and store in the mason jar. On Thanksgiving Day, read each piece of paper aloud together, and remember the sheer number of things your family is fortunate enough to be thankful for! Get Rid of Clutter, and Donate! Many families have piles and bins and boxes of clothing that their kids have grown out of, or never used at all, and toys that have been loved and then discarded. 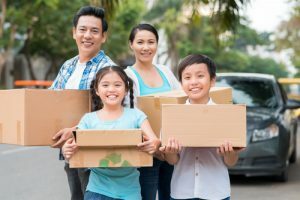 You likely have been itching to rid your home of this clutter, and putting gently used toys and clothing into a “donate bin”, with your children helping you, can help you to get your home in order. But more importantly, your kids will learn that the clothes and toys that they may take for granted can make a huge difference in the life of a child less fortunate than they are. Mind Everyone’s Manners. What do manners have to do with gratitude? Every time your child says “thank you” when offered a gift, a meal, or a bit of help, it reinforces the reality that she is receiving kindness from another person, and that gratitude is an appropriate response to that kindness. Saying “please” is a nice way to teach your kids that what they receive is not to be taken for granted. Volunteer. 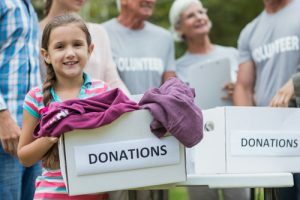 Many local organizations, like hospitals and senior facilities, offer opportunities for families to visit and volunteer to brighten the days of others. Your kids may enjoy the experience of bonding with, and bringing cheer to, kids who are ill or seniors who may be lonely. It will also teach them that good health, companionship, and happiness are gifts to be cherished. How does your family show thanks on Thanksgiving? Tell us about your traditions in the comments section!